My Fairiest Lady styled form head to toe in the most vibrant and striking color of all! 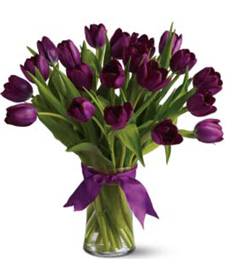 Deep hues of purple radiant the room with an air of excitement that a night out on the town. Share your deepest secrets with that special loved one and have the time of your life! The Dance of Romance is one of the greatest gifts in life! 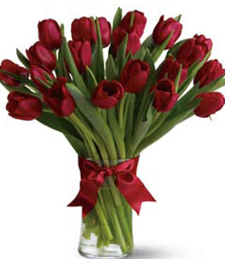 Take her out on the dance floor for a passionate night out on the town with a gift of red tulips to symbolize your charming affections! 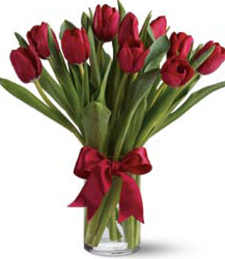 Stun her from head to tow with a flair of Graceful Love with an array of red romantic tulips to set the mood. Its time to live and let go with that special someone with no regrets. 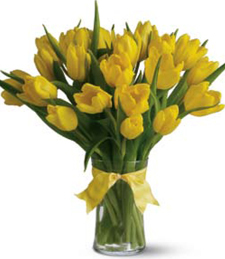 Wake up to the stunning presence of bright yellow tulips where they will say Hello Sunshine! Start the day out right with that special someone and shed a ray of light over their life with a little extra something. Ray of Sun shine over the early morning dew as a promising new day of prosperity ahead. 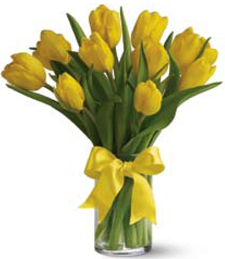 Show them a new life ahead with a brilliant bouquet of yellow tulips to start off the day right. Nothing compares to an unexpected surprise of a gift that mirrors the melodies of happiness. 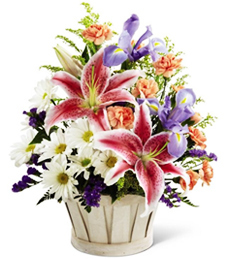 Its Party Time when these brilliant exciting blooms enter the room on surprise! What a way to spice up the moment and add an extra little something to the room. 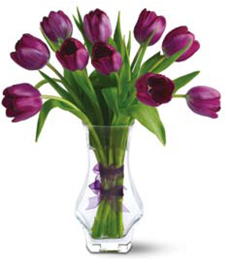 Picture perfect tulips are always the right choice! Pink, white, and purple suggest A Glimpse of Spring! The new season has begun and everything is in bloom. 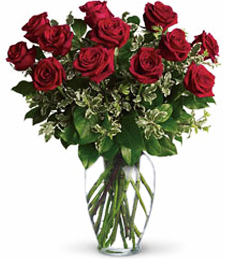 Show that special someone you care with a token of gentle affection. 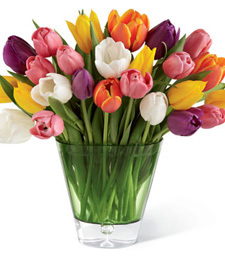 Bunches of vivid tulips symbolize the arrival of spring. Take a breath a fresh air and get ready for a new beginning! 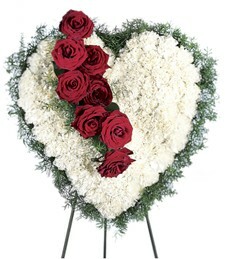 Show that special someone a token of your deepest affection. Its take A Vivid Imagination to arrive inside the precious garden of love. 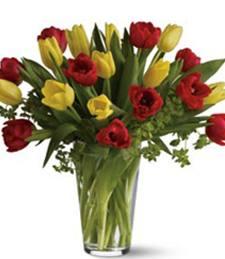 The most vivid colors of red, hot pink, and yellow collaborate together to make a bold entrance. 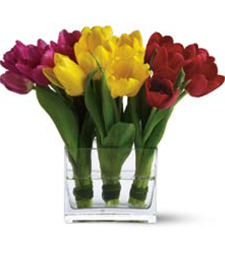 Assorted tulips are always the right choice for any occasion! Style up from head to toe in the most mysterious color of all. They will say she is Jazzy in Purple! Carry that air of mystery and style that cannot be matched in the realm of high fashion. 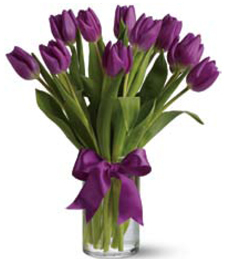 Show them your flashy side with an array of purple tulips! 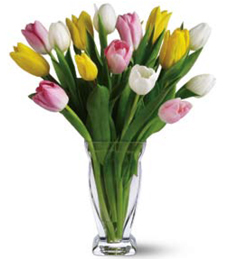 White, pink, and yellow tulips create an air of Picture Perfect. 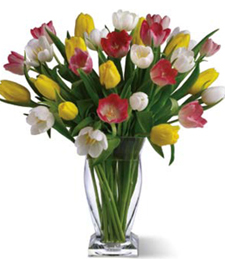 Step into spring in the new season with an array of assorted tulips and brighten their life most unexpectedly. Now is the time to cease the moment! Raise that glass of champaign to a Mist of Summer! Take off for that dreamy European vacation with a special loved one and create memories for a lifetime! Now is the time to experience a new life! 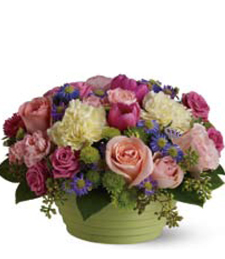 Colorful and vibrant, this exquisite array of fresh flowers brims with vivid beauty and lively charm! 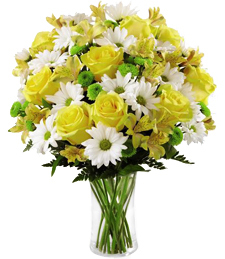 Sure to light up any room, these brilliant blooms make a luminously breathtaking gift! 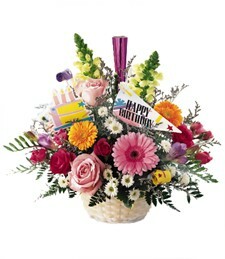 Delightfully dazzling, this vibrant array of colorful flowers pops with bright vividity and vivacious charm! 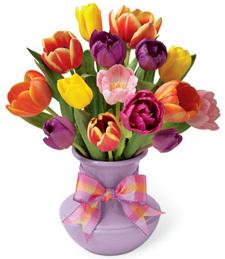 Sure to light up any room, this rainbow of blooms will make a simply splendid and sublimely special gift! A most brilliant kaleidoscope of yellow, pink, orange, and purple hues decorate the moment in the most colorful way. 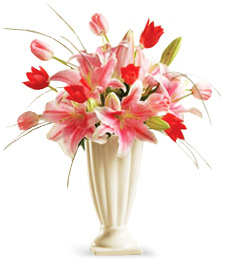 One memorable glimpse of this hand-crafted artistry and they will say what a an array of Timeless Tulips! Jump into a festival of color and greet them with open arms. 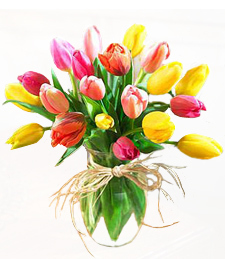 Wash away all your troubles and smile like no tomorrow into the land of Tulips Forever! Radiant shimmering hues of red and pink grace their life like a fairy princess herself. Make her feel like she is the only lady in the world with a gift that she will hold precious to her heart for a lifetime. 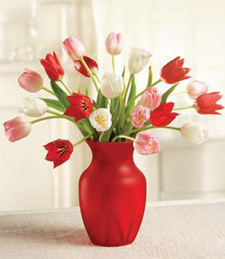 Red, pink, and white spring fresh tulips flair that dainty charm like an old-fashioned love. 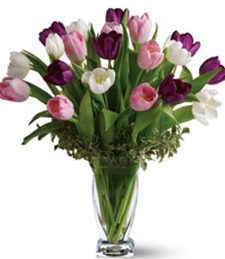 Tulips for Lovers are the perfect show of genuine affection and love. Celebrate that mutual love and affection with a perfect gift of aborable charm!